Start enjoying greater financial health by signing up for QuickBooks® today. Whether you’re new to business or need a smarter way to keep your financial information organized, I get you up and running with easy how-to videos and blog posts full of handy tips. Not all QuickBooks® users know just how powerful it can be! Sometimes you need a little help from a pro. Having worked with small businesses and not-for-profits for 20+ years, I’ve found that nothing streamlines the money side of business quite like QuickBooks® Online. It’s intuitive, gives you real time financial information on how your business is doing, and helps you make smarter financial decisions throughout the year. As a top ranked QuickBooks® ProAdvisor, I walk you through the ins and outs of QuickBooks® with one-on-one training sessions, video tutorials, and money-smart tips (which you can find on my blog, LinkedIn or Facebook). So whether you’re new to business and need a smart accounting system that saves you precious time, or you’re already signed up and want to unlock the full potential of QuickBooks®, I’d love to help! Read on, or book a session with me. It’s bookkeeping without the headaches. Don’t miss out on tax deductions or on billing customers for expenses due to lost receipts. Snap a photo of your receipt and file in seconds. Put more money in your pocket instead of receipts! Create invoices and track when they’re sent, viewed and paid from your computer, tablet or phone. QuickBooks® works across all of your devices, helping you get paid sooner. Get the latest business and planning advice – wherever you’re at in your business. Learn how to plan ahead for taxes; better manage cash flow; and increase your bottom line. Instead of handing your accountant a shoebox of receipts, you’ll have easy-to- read reports. Having all your financial information in one place may save on accounting fees and returns. See exactly where your money is going. Securely connect your bank accounts to QuickBooks® and reconcile your transactions to ensure records are accurate and up to date at all times. See exactly how your business is doing with real time reporting. No rushing around at year-end trying to locate or summarize tax information. Get your financial reports instantly. The Plus plan allows you to track time for yourself and employees against a customer and bill them. Manage inventory in real time. Track profitability by product, service or location. Send purchase orders, and create budgets. Do you need to track time and schedule employees? TSheets is a flexible, easy-to-use time tracker filled with innovative tools to help you maximize your most valuable resource: time. Whether your employees sit in an office, work in a warehouse, travel between job sites, or spend the day on the road, there’s a simple time tracking solution just for you. TSheets syncs customers, jobs and employee information seamlessly with QuickBooks® Online so you can track billable time. 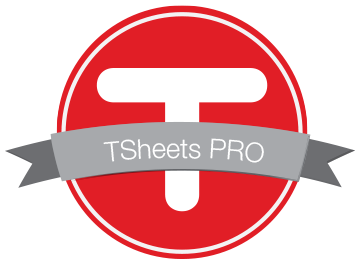 Try TSheets for FREE now! As a business owner, sometimes you simply don’t have the time to figure everything out by yourself. Whether you need an introduction to setting up QuickBooks®, or more advanced advice on budgeting and cash flows, I take the fear out of finances and help you feel more confident. You’ll get professional advice tailored to your personal situation to help you manage your money even better. As a Chartered Professional Accountant, I’ve had 20+ years of experience in financial reporting, financial planning and analysis, budgeting and forecasting, project and fund accounting, and software implementation. I’ve seen firsthand that having up to date knowledge on your finances alleviates stress and enables decision making that gives rise to good financial health. Set yourself up for financial success with a one-on-one QuickBooks® training session with me. I look forward to working with you! Be sure to check out my YouTube channel and blog. If you don’t find what you need, email me, and my next edition could address your needs! I’ve got this! Sign me up and send my file! Purchase one of the above plans and complete the questionnaire. You’ll receive your QuickBooks® Online login details and be ready to go in no time! Your first 20 minute consultation is on me! Hit the button below to book your free session. Be sure to tell me about your business and how I can help customize QuickBooks® to work best for you. This is my specialty! For just $125, you receive a 60 minute 1:1 QuickBooks® training session with me. I’ll help you overcome challenges,answer your questions, and show you new ways QuickBooks® can save time and support your business even further. If you transfer your existing QuickBooks online file to MyQuickBookKeeping you will qualify for the special reduced rate of $100. If you have any questions about QuickBooks® or what it’s like to work with me, I’d be happy to answer them! Simply fill out the form below.